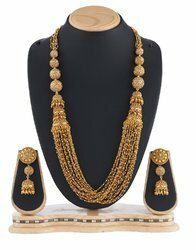 Antique Traditional Design Golden Ball Mala &Chain With Earring beautiful women jewellery. 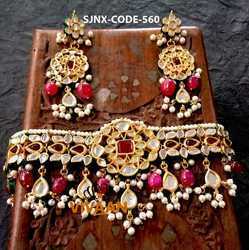 Prettylook copper base material. 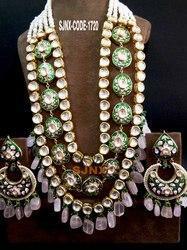 Gorgeous Look. 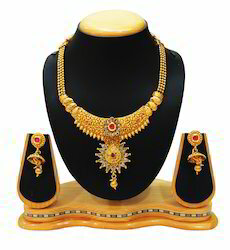 Traditional Gold Chain Ball Necklace. Wholesale customer rate will be different. 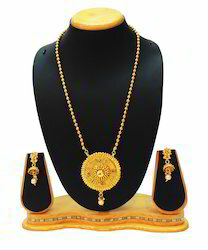 Excellent finish Matte Polish/Dull Polish Mango designs Pretty Look Gold Plated Mango Design Traditional & Antique Design Polish Neck Fit Necklace Set with Earings Indian Jewellery. 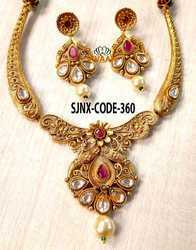 party wear necklace,Excellent finish. 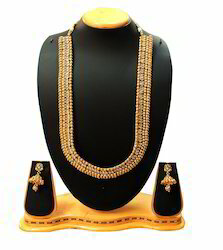 Traditional & Gold Plated Design Rawadi polish Necklace set with Antique Earring, Preetty Look, antique Earring New Arrival Jewellery. 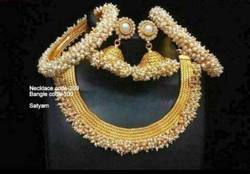 Traditional White Pearl Bangle For Bridal Women.latest Pearl designs Bangles could be an effective way to grab attention on occasions like Weddings. 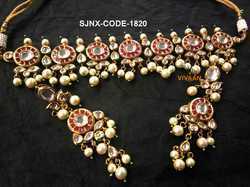 Traditional & Designer Gold Plated Long Necklace Set with Beautiful Earrings Set for bridal Women Jewellery, Copper base material beautiful design for Indian bridal women only. 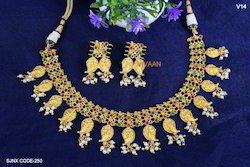 Traditional Gold Plated & Modern Style Bridal Necklace Set Beautiful & Antique Gold Plated modern Style Bridal Necklace set with gorgeous Earrings Set for Traditional Women Necklace Set.